1. Apply a primer first, then MAC Coppering eyeshadow in the centre with #239 brush 2. 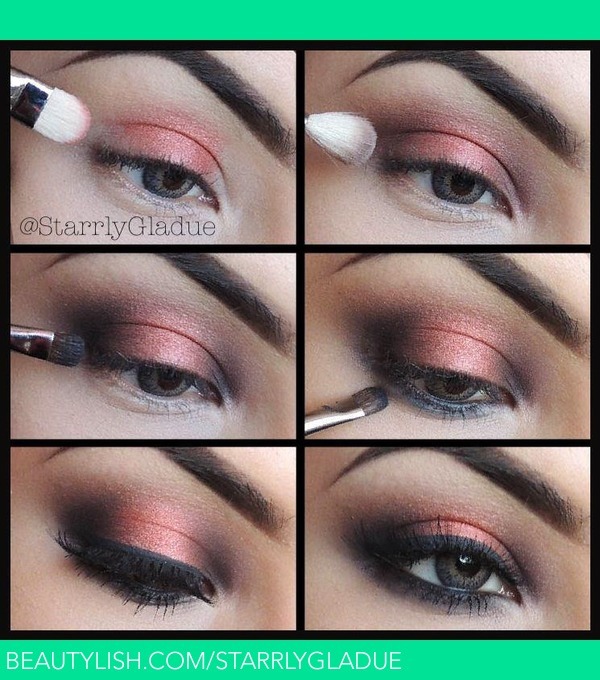 Apply Twinks shadow on the inner & outer corners and blend with #217 brush 3. Shade in Carbon shadow in the centre of Twinks with #228 brush 4. Add black liner in the waterline and blend out with Carbon using #228 brush 5. Apply top liner (blacktrack), lashes (415 red cherry) & mascara! I did this for a night out the other day, & got so many compliments! Thankyou! I would LOVE to try this, but what would you even wear with this? What colors did you use? Very pretty! 56 Photos by Starrly G.